50 Backcountry Drives For The Whole Family. By . Includes trails around Lake Tahoe, Mammoth Lakes and the Owens Valley. Suitable for all stock SUVs, including many of the less robust. Black and white photos, basic maps, and accurate, although less detailed directions and descriptions than other similar books. Includes trails around Klamath, Big Sur and the coastal ranges. Suitable for all stock SUVs, including many of the less robust. Black and white photos, basic maps, and accurate, although less detailed directions and descriptions than other similar books. 60 Backcountry Drives For The Whole Family. By . Includes trails around Death Valley, Joshua Tree, Anza-Borrego and Mojave National Preserve. Suitable for all stock SUVs, including many of the less robust. 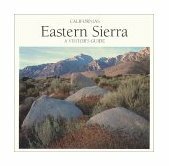 Black and white photos, basic maps, and accurate, although less detailed directions and descriptions than other similar books. An in-depth guide to the Rubicon Trail, one of the hardest, and most famous, Jeep trails in California. Presents some sections of the trail as 3D pictures to allow you to get a better perspective. Includes Forest Service information for the area, basic maps, and some of the colorful history of the trail. 20 trails, with maps and photos for the Tahoe National Forest. Includes Forest Service information for the area and basic maps. Spiral bound. 20 Trails, history, maps and pictures for the San Bernardino Mountains in Southern California. Includes Forest Service information for the area and basic maps. Spiral bound. Falcon guide. Twenty four drives, suitable for passenger vehicles through a wide variety of Californian scenery. Directions, maps, photos and description. Covers popular, rather than backcountry, tours. Comprehensive guide to the 1,100 miles of the Pacific Coast Highway that meanders along California's coastline. Information on towns, villages, accommodation, camping, shopping, restaurants and attractions along thw way. Trails and details of Californian ghost towns - includes Death Valley, Joshua Tree and coastal regions. Guide to ghost towns and historic mining camps in the north of the state. 50 sites, with history, descriptions and excellent realistic photos of the towns today. A guide to the abandoned or nearly unpopulated towns of the California desert. Fifty sites described, along with a brief history and colorful stories of life and times in the towns. Contains a ranking of sites, road conditions, trip suggestions, and topographic maps for more detailed exploration. A Guide to the State Park and adjacent areas of the Western Colorado Desert. Indepth guide to the Anza-Borrego State Park, suitable for hikers, 4wd, photographers, campers, equestrians and mountain bikes. Includes map. Definitive guide to this remote National Park. Details hikes and driving tours, plus information on the exciting history and unusual flora and fauna of the region. More than 100 scenic and historic destinations on the eastern slopes of the Sierra Nevada. Flora and fauna, history, descriptions and attractions. Interesting, entertaining writing accompanied by many color photos. Excellent overview mapbook for the southern part of the state. 1:50,000 scale, topographic, with GPS reference. Excellent addition to any backroads map collection. Shows many of the quieter roads and trails. Indispensible for trip planning. Listing of more than 1,500 campgrounds, ranging from hike-in wilderness areas to R.V. parks. Lists the not-so-wonderful as well as the outstanding ones. Comprehensive and detailed, with a good locator guide to make it easy to find ones in your area. The complete guide to hundreds of fishing spots on lakes, rivers, streams and the coast. Written by an experienced local fisherman, the book details over 850 lakes and reservoirs, 175 streams, and 1,200 miles of coastline. Indespensible guide to the state. A varied collection of the best hikes in the north of the state. Includes hikes in the Sierra Nevada, Cascades, Klamath Mountain range, as well as coastal hikes and ones around San Francisco Bay. Good, practical information, attractions, directions and color photos. The best hiking in the southern part of the state. Many hikes around Los Angeles, San Diego and the counties in between. Covers mountain, desert and coastal hikes. Practical, upbeat and well organized, with a difficulty rating for the trails listed. Groomed trails and where to stay, from Mount Shasta to Kings Canyon. 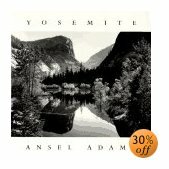 The books covers 22 of California's groomed cross country ski areas, as well as offering tips and techniques to get the most out of your experience.